The Cleveland artist David E. Davis (1920-2002) and his wife Bernice Saperstein Davis founded The Sculpture Center in a storefront gallery on Euclid Avenue, as an integral part of a compound with Davis’s working and presentation studios, offices, and a small sculpture garden. The brick buildings, beautifully converted by Davis in the 1980s to contemporary uses, were constructed in 1916 by the Gandola Company. Two Italian brothers who were sculptors from a small town north of Milan established the business to make funerary monuments for the adjacent Lake View and Cleveland Township Cemeteries and others. An artist of great vision and energy, David E. Davis, The Sculpture Center’s founder, experienced firsthand the manifold difficulties confronting an aspiring sculptor. He held a deep grasp of the physical challenges inherent in producing three-dimensional work and personally understood the unique barriers sculptors encounter while advancing their careers. As a successful artist in his later years, Davis established The Sculpture Center with the express mission to ameliorate intrinsic disadvantages sculptors face in their practice, especially during the early years of their development. Davis’s first priority for The Sculpture Center was to launch the Window to Sculpture Emerging Artist Series, an exhibition program conceived to provide deserving early career sculptors a forum to present their work within a nurturing and professionally exacting environment. Since its launch in 1990, The Sculpture Center has presented four or more solo exhibitions by early career sculptors each year, slowly expanding the program’s scope to include not only the Northeast Ohio region but all of Ohio, its contiguous states, and the Province of Ontario. Now referred to as W2S, this series supports the careers of promising sculptors by invigorating their momentum and promoting their professional and artistic development. Unique among its kind, the W2S series provides opportunity for a sculptor to heighten their profile, prompting leads toward gallery representation, graduate school admission, university positions or tenure, and, most importantly, a maturing of their artistic oeuvre through the creation of new work, free of external constraints. The Sculpture Center exhibited the work of over 100 emerging Ohio sculptors in the Window to Sculpture Emerging Artist Series of solo exhibitions of new work, presented technical workshops for artists and the public, and linked art students with sculptors in an apprenticeship program. The Sculpture Center also began a survey to record the location, creation and fabrication history, and condition of all public, outdoor, sculpture in northeastern Ohio and was chosen as one of five organizations statewide to receive federal funds for implementing Save Outdoor Sculpture (SOS!). SOS! was the largest nationwide volunteer effort on behalf of the visual arts ever undertaken to record this information for outdoor sculpture across America. At the completion of this survey, The Sculpture Center placed on its website the information for all Ohio outdoor sculpture that had been recorded (Ohio Outdoor Sculpture Inventory). The Sculpture Center’s Conservation Committee, originally a private citizens group, raised the funds and began, with professional conservators and a cadre of volunteers, to conserve and maintain 35 outdoor sculptures in Cuyahoga County. In 1999, The Sculpture Center moved to a new building on East 123rd Street, at the back of the compound, which it shares with the Artists Archives of the Western Reserve, also founded by Davis in 1996. Founder David E. Davis died unexpectedly in 2002. The Sculpture Center added an annual juried exhibition of smaller sculpture, On the Pedestal (subsequently renamed Off the Pedestal), to provide an exhibition opportunity for all sculptors of Ohio and to encourage the sale of sculpture. The Center completed the conservation and maintenance of the 35 sculptures of Cuyahoga County in 2003. 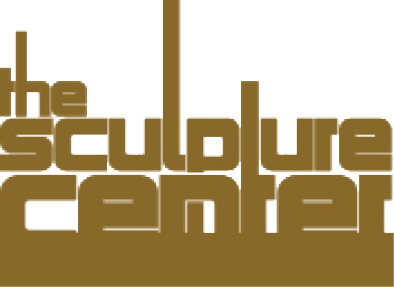 In 2008, through the generosity of studioTECHNE|architects, whose offices had moved to the Euclid Avenue storefront space, The Sculpture Center doubled its programming to include exhibitions in its original space, now the Euclid Avenue Gallery. This gallery is now provided through the generosity of the Davis Sculpture Foundation. That same year, The Sculpture Center significantly enhanced its exhibition programs, to give a deeper artistic context for the W2S exhibition series and provide more varied exhibition opportunities for sculptors, by adding a season of curated exhibitions of rapidly rising and established artists. Artists talks and panels accompany every exhibition. It also broadened the served region for these non-W2S exhibitions to Ohio, its contiguous states, and Ontario, Canada. In 2012, it opened up its keystone Window to Sculpture Emerging Artist series (W2S) to sculptors of the entire region and refined its region of service to Ohio, Michigan, Indiana, Kentucky, West Virginia, western Pennsylvania, western New York, and the province of Ontario, Canada. In 2014, the Davis family founded the Davis Sculpture Gallery, incorporating David Davis’s final studio in the original storefront building along Euclid Avenue. This beautiful time capsule of Davis’s artistic practice is currently accessible to visitors during The Sculpture Center’s openings and by appointment. It is not part of The Sculpture Center. The Sculpture Center compound of two sculpture galleries, the gallery and collection of the Artists Archives of the Western Reserve, the Davis Sculpture Gallery, an architectural firm, and a sculpture garden is the cultural nexus of University Circle’s East End. To explore David E. Davis’s artistic practice visit the Artists Archives of the Western Reserve’s website.